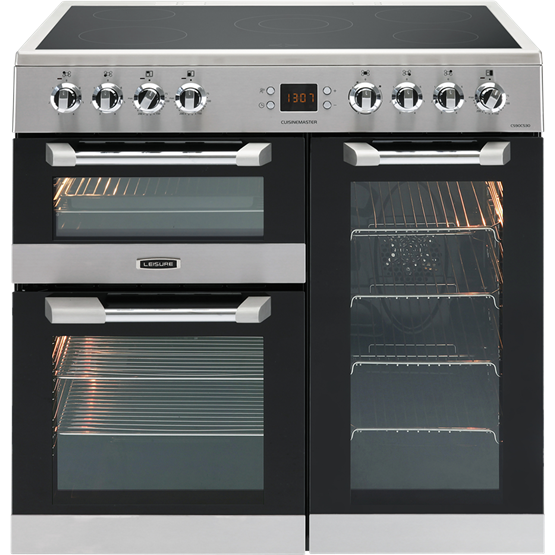 Oozing sophistication and style, this Cuisinemaster range cooker brings three separate ovens and a dedicated grill to the table, giving you plenty of room to cook up a feast. 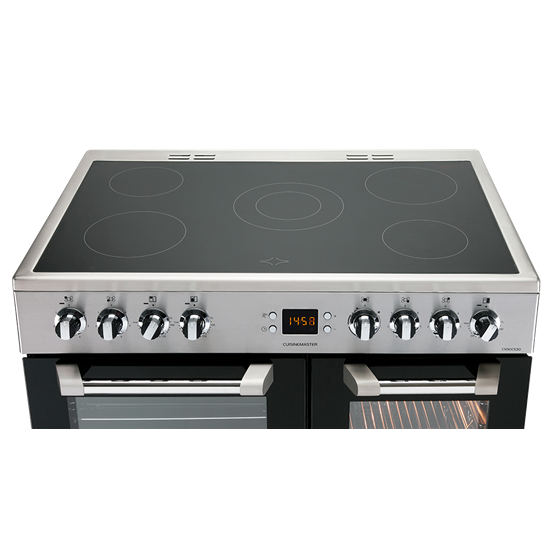 The five-zone ceramic hob's central dual zone can be used to powerfully heat up larger pans and woks. And, the main oven's specially coated Cook Clean liners are designed to catch dirt and grease from inside of the cavity, removing the need to scrub the oven's walls. 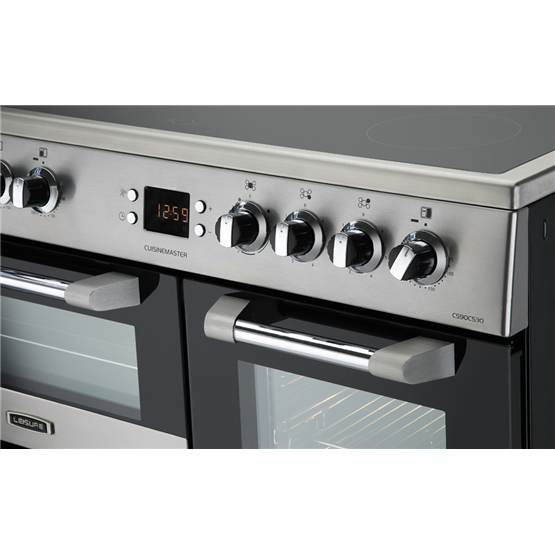 Infusing your culinary life with even more flexibility, the ceramic hob has five electric cooking zones to choose from. 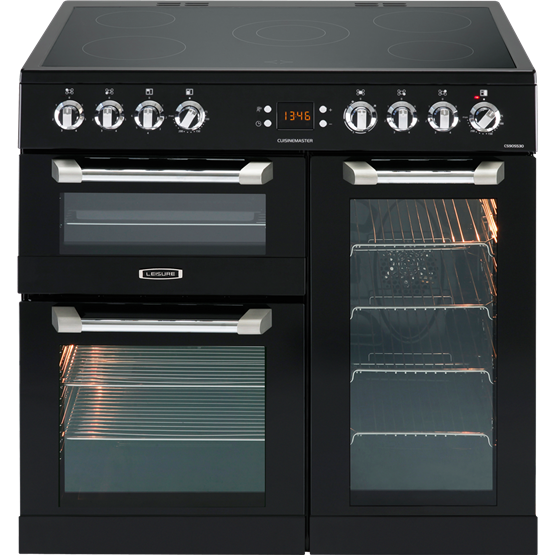 The hob's central dual zone provides extra power to increase cooking speed, perfect for when you're cooking with larger pots and pans. Good Points: Cooks well and like the look. Good Points: The description given online by AO stated it was 2 ovens, grill and slow cooker. It is actually 3 variable ovens and a grill. I like to cook a lot and this is better than expected The cooker in general is very quick at heating up and is so easy to clean Well done to all. Good Points: Looks great. East to clean. Easy to use. Bad Points: Cheaply made and un-ergonomic grill pan and rack and the oven racks. Top right warmer would be more useful as a second grill. Grill start off fine, but if used for several batches takes longer and longer to cook. Regular oven should be fan too. 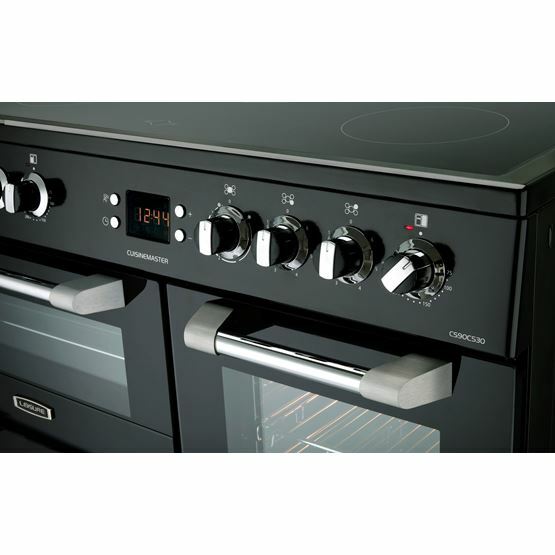 Good Points: Plenty of space on the hob with a variety of heating elements. 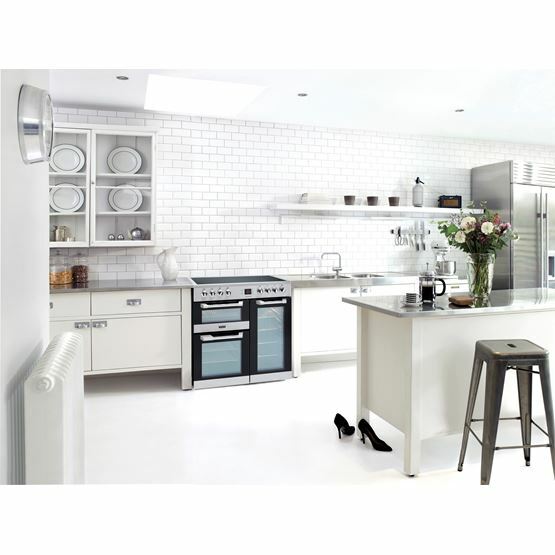 Three ovens and a separate grill makes cooking separate items a breeze. Bad Points: Adjustable feet cannot be easily reached to level cooker so you have to turn in on its side (and boy is it heavy...) and guess. Then repeat. Guess. Repeat. etc. Glass hob seems to scratch easier than our last Range cooker.